What’s the best piece of advice you’ve gotten? I think that relationships matter. I got that from Tummy Purcell, his advice was more along the lines of, “If you get your relationships right in the classroom, then the teaching will take care of itself.” The boys will work for you. And I’ve definitely seen that in action. Another one, still related to teaching and relationships, would be that “If we can’t support a student, then who else can?” I think that we’re one of the best equipped of any schools to support any student, so we want to make sure we support each student – because if we can’t, who can? I think it’s the values-driven approach we have to schooling. If we have a greater understanding of each student, that means we have a greater ability for holistic support. It’s not just one particular aspect of life, it’s more about the holistic view of supporting a child. And we’ve got the resources, the staff, the nurturing culture and environment to do that. Probably through the generations of co-curricular programs we’ve had at the school, which have been a mainstay for 30 or 40 years. They’ve been fine-tuned and tweaked through the sheer amount of people who have gone through those programs. What programs do you mean? The outdoor education, the Leppitt and Somers programs. The House System being such an integral part of the school. The fact that Saturday sports are compulsory – that it’s not just about the results, it’s about participating in the sport, it’s about recognising that you may not be great at something but pursuing it anyway and having a lot of fun on the way. The programs just allow boys to try different things, find things they are good at, and also involve themselves in things they might not be so good at. Being involved in so many things means you’re going to find friends and build relationships in different places as well. You would’ve experienced those programs as a student and as a teacher now. How have you found comparing those experiences? I think the main similarity is that I loved all those programs as a kid and I love them all as a staff member as well. Which is great, because I think when you love doing something, that is infectious. Other staff want to be involved and other students want to be involved – when I see a staff member involved in something I perhaps haven’t tackled or been involved with in the past, then I want to tackle it. And that was pretty much how I was as a student. I took up touch rugby as an extra sport having absolutely no idea about it, but having a couple mates who played it and loved it. That’s probably also how I fell into stuff like bushwalking. Now bushwalking’s never been in the Amiconi name, but I saw one of my mates loving it, so I came along and tried it and I loved it too. That feeling of trying something you never would have because you saw the passion someone had for it – it’s just as real for me as a staff member now as it was for me when I was a student. What was your path after school? I did a Gap Year at a prep school in the UK for a year. I guess that sort of solidified my pathway, that I really wanted to get into teaching. Then I came back and did an Arts and Science degree as part of the old Melbourne Model, and did teaching after that. I took some time off, went overseas and travelled for a bit in between, then spent 5 years at Kew High. After that I took another year of unpaid leave, travelled for a year and then came to Trinity the year after. Did you always know you wanted to come back to Trinity? Have you got a favourite memory of Trinity? My favourite memories are things like just stuffing around at lunchtime. 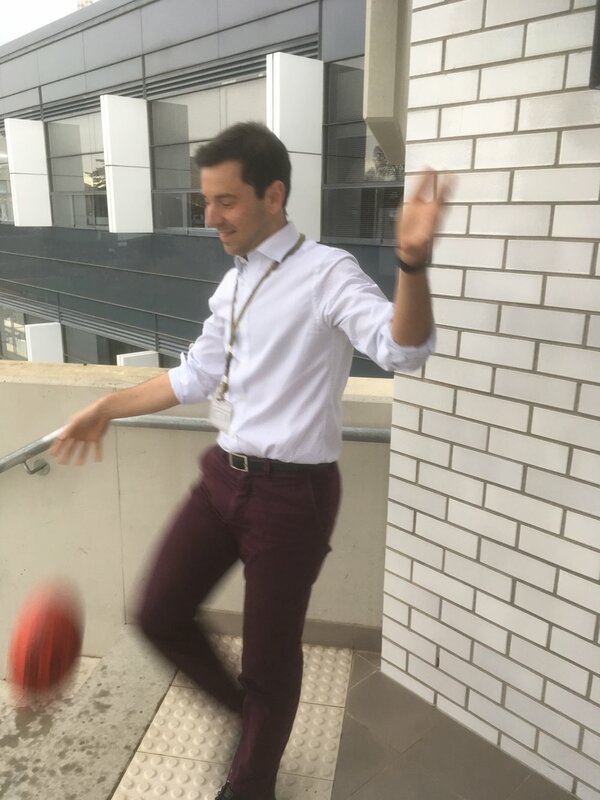 I remember playing tennis ball soccer in the Batson Quadrangle as a Yr 7 or 8, and through Yr 9 and 10 playing downball against the wall outside the old Careers office by the senior toilets. Year 12 was just the bottle game, throwing a water bottle around the common room where you might have to clap before you catch it, then building the most absurd rules upon rules on top of that. All my greatest memories are just mucking around with mates – Agapanthus wars were great! You’d rip out the whole agapanthus stem and flick it against your leg and send the bud flying at one of your mates. Just testing to see how far you could push it before you got sprayed. It’s all coming back to me now. Is there anything you regret lading up to where you are now? I don’t think I regretted anything from school. I probably could have worked harder, but I got where I wanted to. I think my greatest regret was probably not doing the thing that I loved straight after school. I mean, I went to Uni, I went out, but I didn’t pursue things I loved – like being in clubs and societies, doing social services. I sort of just went through the motions for four or five years. I reckon that was the period in my life where I wasn’t as happy as I have been in all other times of my life. That’s just because I wasn’t doing the things I loved, which I had been at school and have been in all other times of my life. You were School Captain in 2001. How did that happen? That’s a great question! I’ve got no idea how it happened, because there were definitely a number of guys in my year level who were probably a lot more qualified than I was to be School Captain. I guess that was one of the hard things initially. I mean, I was the second School Captain in about 15 years not get 99 as an ATAR. So the role really wasn’t something that I was expecting, but I loved it. But I think I was given the position because I loved mixing with people, and what I learnt was that’s the role of School Captain – it’s not about making miraculous speeches or being an incredible sportsman. Obviously, it’s good to try at everything, but it’s all about knowing as many of the Yr 7s as you possibly could. You know, relationships matter. The little gestures, the efforts you make to go watch someone play House sport, or going to Bulleen early to watch the 8B footy game before your game, then acknowledging a kid on Monday who you saw on the weekend. I think that’s probably why I got recognised and given the role. Do you think the role transformed you at all? I don’t think it did. When I was appointed School Captain, I was really unsure of how to proceed, I was really nervous about how I was going to be. But one of the best pieces of advice I was given then was from a couple of staff saying to me, “You’ve been appointed because of who you are, so don’t change who you are.” I guess that was my mantra throughout Yr 12. I certainly wasn’t the perfect School Captain, I certainly wasn’t the perfect student during Yr 12. I still made mistakes and upset teacher. I think Mr Hillman had to rip up a Friday detention that I got from one of my teachers because we couldn’t have the School Captain getting a Friday! So no, I don’t think it did change me. I hope it didn’t. 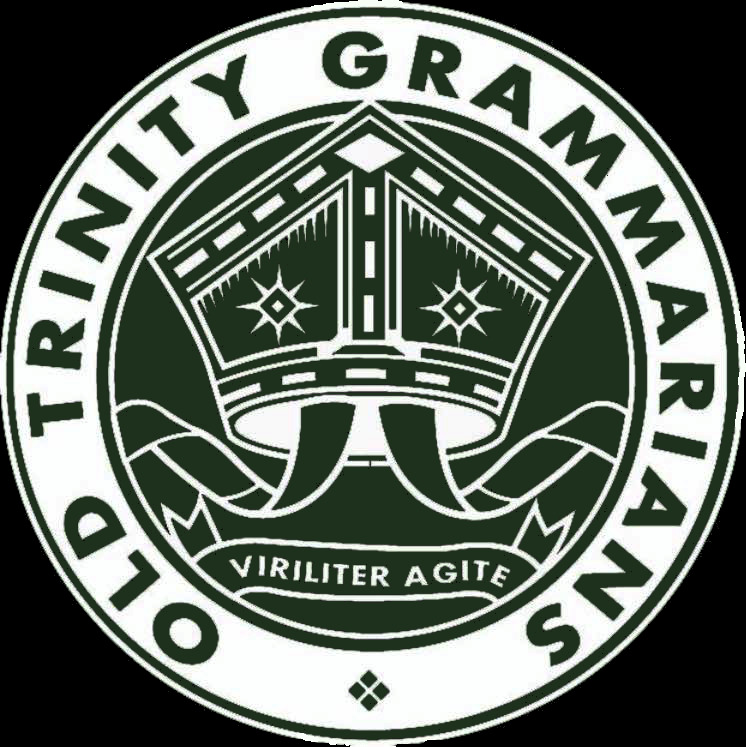 The Old Trinity Grammarian's Association (OTGA) is the official alumni association of Trinity Grammar School, Kew.